When you get right down to it, there are as many reasons for working out with weights as there are people who train! After all, no two persons have exactly the same hopes, aspirations or aims, and therefore, their reasons for regular training are all different. However, one thing is certain: The individual who achieves the greatest degree of satisfaction and success in his training is the person who always has a definite chief aim for the training he does. When I speak of a definite chief aim, I am, of course, referring to a GOAL. An individual chosen purpose for training. No one can select a definite goal but the trainee himself - and there is no hope for maximum results unless the trainee does select his goal! Not too long ago, I worked with a young man of three years training experience. He had a very good physique, a high degree of strength, and fine athletic ability. But, as he put it, he just didn't feel that he had sufficient incentive to go on training. Our discussion at first went something like this . . .
"What do you feel is the obstacle keeping you from training regularly?" I asked. "Oh, there's no obstacle, really, Brad," he said. "It's just that I don't need to train . . . I mean, in the sense that I needed to train when I first started out." "Can you be a bit more specific?" I asked. "Well, when I started training, I was a wreck. I was flabby, weak, and I had a roll of fat around my waist. If I ran for a bus I started to puff like I had run the three-minute mile!" He smiled. "So," he went on, "I guess you can see that I really had to train back then! It was do or die!" "Yes," I replied. "I certainly do see your point. You had an excellent reason for getting into your training program, and for quite some time - until you were in shape, anyway - for staying with it!" "But now . . . " his voice trailed off. "Now you've 'arrived'. You feel you've gotten where you want to go, and the game no longer seems worth the candle." "Look," I said. "It's very clear that you came a long way by some pretty hard, honest work. You stuck with your training long enough to reap the initial benefits - but can't you see that you've only taken the first step?" "Because the object of physical training - as I see it, anyway - is to form a lifelong habit of intelligent, planned exercise. Such a program should continue for all your years - not just for the few it takes to build a good physique." "You make good sense," he agreed. "But my problem is not that I don't understand your philosophy - for I do, and I agree with it - it's just that I don't have the oomph any more . . . I don't have the incentive, the motivation to train." "I see. Well, in that case what do you think your problem is?" "Hey Brad! I'm paying you for that answer!" And we both laughed. Three ha's and a pair of he's. "Look, I'll give you the answer, musclehead," I said smilingly, "but first I want to make you do some thinking of your own!" "Right," he said. "Well, I guess I'm not feeling any incentive because I've already gotten a good physique, right?" "Not necessarily," I said. He looked surprised. "Look," I said. "Not everyone who trains with weights is necessarily concerned about his physique, right?" "Sure, but . . . " he started. "And," I interrupted, "because there are highly motivated athletes who train for better performance, businessmen who train for health, lifters who train for power, and so on . 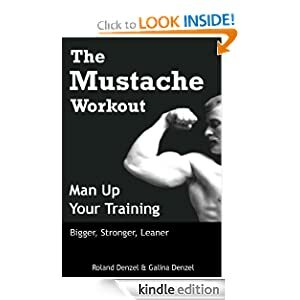 . . and because there are highly motivated people in all these categories - it seems that your theory about 'needing to train for a good physique' just doesn't hold water." "And," I went on, "even in the categories of trainees I enumerated there are completely different types of individuals with widely varying goals - and there can be found many enthusiastic, highly motivated trainees with every sort of goal. Right?" "Stop saying 'hmm'!" I said. "Oh, forget it!" I answered. "I'm just kidding, Brad, honest. I think I see your point," he said. "What I need is to achieve some missing attribute or quality that these other trainees have, and then I'll gain okay. Right?" "Then . . . what?" he started. "It's really simple," I said. "What thing do those other lifters have in common . . . I mean that motivates them?" "YES!" I said. "They want something! And didn't you want something when you started training?" "Sure," he said. "A great physique!" "Right! And that was your . . . what?" "My goal," he said simply. "Your . . . ?" "GOAL! It was my goal, Brad. Are you deaf?" "No, I'm not. Now what about what you just told me?" "I had a goal when I began training," he said carefully. "I had a goal and that motivated me. And these other successful trainees also have their goals. And that's their motivation." "So you problem is . . . ?" "But I achieved my goal," he protested. "You did achieve your goal. Your first goal," I said. "But the key now is to set another goal . . . and then another. And each time you achieve a goal, set a new one." "Like breaking your own Press record," I said. "Or perhaps developing a new level of endurance and cardiovascular fitness. Or . . . you name it! But set some goal, and keep resetting goals all the time. That's the secret of always being in top level enthusiasm for your training." And what I told my pupil I tell you. If you feel that there's just no way to stick with your workouts like you used, it's a cinch that the reason is because you don't WANT TO like you used to! Well, change that right away. Set an all new goal for yourself and get all psyched about achieving it. Once you achieve it, you'll have primed yourself for still another goal - and its attainment! And that's the way to maintain high-level training enthusiasm and always feel rarin'-to-go in your workouts. Try to achieve your maximum for a set of 10 perfect rep squats. Shoot for a bodyweight military press in super-strict form. Aim for 500 situps without pause in perfect form - with 10 lbs. held behind the head. Try for deadlifting your bodyweight plus 200 lbs. for 5 reps. See how fast you can do your present routine. Try to get it down to 15 minutes less than what it takes now. Do you dawdle? Knock a half-hour off the time! Lose three inches off your waist in two months. See if you can double your strength in your favorite lift. Those are just a few ideas. I toss them out to you for what they're worth. Think about them. Think of new ideas. Try to set some goal that really means something to YOU. That will really keep your incentive for attainment high, and, when you get where you want to be, you'll know enormous satisfaction. I'm not really too impressed by the "in vogue" goals. After all, it's ridiculous for every guy who trains with weights to want to be Mr. America! First of all, not one in a million can be. Second of all, I'm not so sure that - today - that's really a worthwhile aspiration for someone wanting a lifetime of benefits from sane physical training. But we all know what we, as unique, special individuals, want more than anything else for ourselves. When we set that as our goal we can't go wrong. And if others scoff at us, so what! Their problems need not concern us; our only problem is to achieve what we want! If we do that, the criticisms of others will count for nothing. This is really a call for all readers to start thinking for yourselves. To look deeply into yourself, and ask: What do I want from my training? When you can answer that question, the unblocked path to your lifting success is clear.